As a man of faith who pays close attention to the message of the Bible, Prof Koos van Rooy’s mission has been to translate the Word of God into many African languages. He initially worked as a missionary in Soweto from 1963 to 1966, and then did missionary work for the Christelijke Gereformeerde Kerken in the Netherlands until 1972. Koos was the project coordinator for the new translation of the Bible into Venda in 1973. It was then that his enthusiasm for translating took root and became a lifelong passion. Since his retirement in 1998, Koos has worked as a translator and consultant in approximately 20 languages in Mozambique, the Democratic Republic of Congo and Ethiopia. 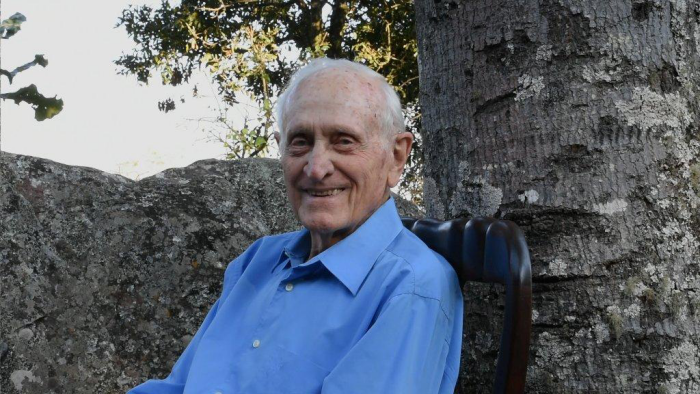 He received a ThB degree at the former Potchefstroom University for CHE in 1957 and became a missionary at Siloam in Venda in the same year. Koos studied towards a ThM in Missiology in 1964 and obtained a doctorate in Missiology in 1971. He received a second doctorate in 1995 with a thesis on Yahweh and Modimo, and was awarded an honorary doctoral degree for his work in Bible translation and contributions towards Missiology and renewal in the theological orientation of the Reformed Churches in South Africa. In addition to missionary work and translation, Koos is also an established academic.